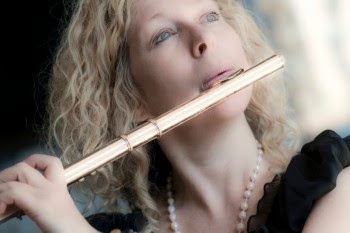 Classical siren Flutist Jane Rutter has built a stellar reputation over the decades for excellence and commitment to Flute playing in the French style. Her broad ranging technique allows her to move easily from classical music through to popular and spiritual mindfulness music, using a wide variety of Classical and World flutes. This prestigious award from the French Government is well deserved by the Australian musician. The Award, Chevalier des Arts et Lettres in English means "Knight of the Order of Arts and Letters" in recognition of significant contributions to Arts & Literature in France. It was conferred on Nov. 18 in an exclusive concert and ceremony at the Sydney Opera House by French Ambassador to Australia H.E. Christophe Lecourtier. In his speech, Lecourtier said he believes Rutter has brought much to France. "Jane embodies the best of both countries," Lecourtier said. Rutter replied to the standing ovation with a charming encore mashup of Waltzing Matilda and the La Marseillaise performed on tin whistle and piccolo. Rutter, who studied under the great French flute players Jean-Pierre Rampal and Alain Marion, said, "When I think of what France represents, in terms of music, politics, human rights, equality, courtesy, etiquette, culture: my reaction to receiving the award is profound. I could not be more honoured."